Prime Minister Malcolm Turnbull, a friend to Israel, is out. Scott Morrison is in. Morrison is also known to be pro-Israel. Morrison was loyal to Tony Abbott, who was PM before Turnbull, and who had made noise about moving the Australian embassy to Jerusalem. But while Scott Morrison may be good for the Jews, Josh Frydenberg, who was just named treasurer, is actually Jewish. 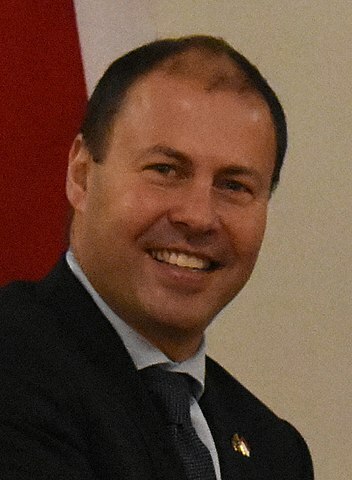 Frydenberg’s mother was a Holocaust survivor who emigrated to Australia as a stateless child in 1950. What this means for the country is anyone’s guess. But we know Frydenberg is very involved in the Jewish community, which is a good sign.